Lord’s offering at the appointed time. As Israel was preparing to celebrate the second Passover one year after their deliverance from Egypt some men had become ceremonially unclean due to their contact with a dead body. 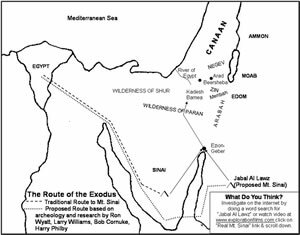 The Levitical regulations concerning clean and unclean had been introduced and implemented during this first year in the wilderness. Now, due to the regulations concerning a dead body some men where not able to participate in the second Passover. It is interesting that God demanded everyone to participate, yet there were many things that disqualified individuals from being able to obey God. Participation in the Passover celebration by everyone was one of the Levitical regulations. But, in this situation there is a conflict between the two regulations: Everyone must eat the Passover meal, but no one can eat the Passover meal if they are unclean. What is the answer to this dilemma? Moses does not respond to the question until he has God’s Word. The Lord’s answer is simple and straightforward. Any Israelite who has a legitimate conflict with celebrating the Passover must celebrate it exactly one month later. The answer to this conflict is applied to other similar situations such as when a man is traveling on a journey and cannot celebrate Passover on the appointed day. Two things of interest should be noted. First, at Jesus’ arrest and at his crucifixion many people were concerned with becoming unclean, and so, missing the opportunity to participate with the rest of the community in the Passover meal and other activities occurring at that time. Second, Paul says that Jesus is our Passover lamb in 1 Corinthians 5:7, and then Paul also indicates that many people in the Corinthian church were being cutoff because they were celebrating the Lord’s supper while they were in some sense, unclean (1 Corinthians 11:27-30). 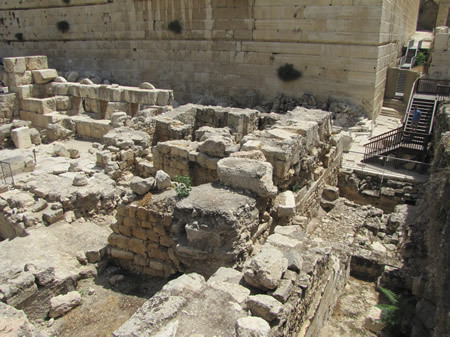 David’s palace has been discovered above the Stepped Stone Structure on the side of the Kidron Valley. A beautifully carved proto-Ionic capital from a column in the royal palace has been found at the base along with piles of ashlars (carefully hewn, rectangular building stones) from the palace building. Do I keep myself from being tarnished by sinful thoughts, words and deeds? 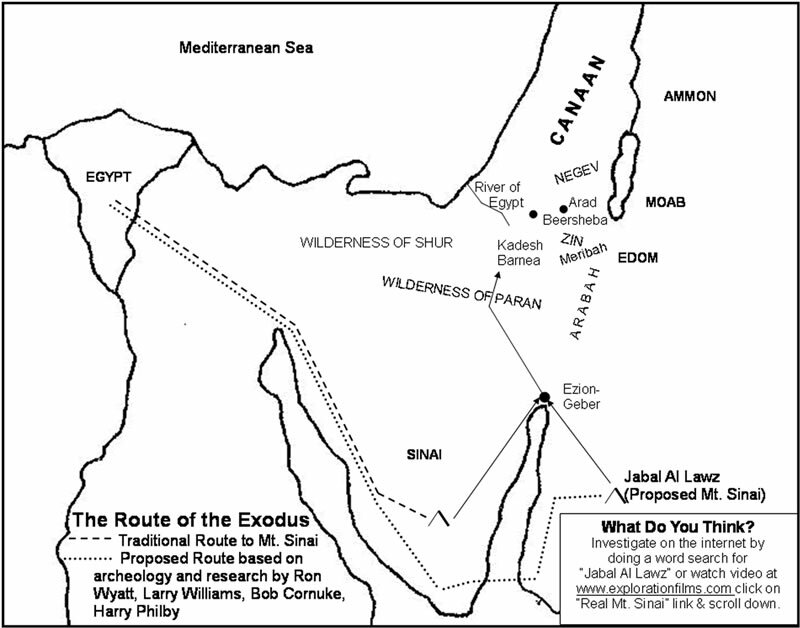 This map shows the traditional route of the Exodus and a questionable alternative route to an alternative Mount Sinai. 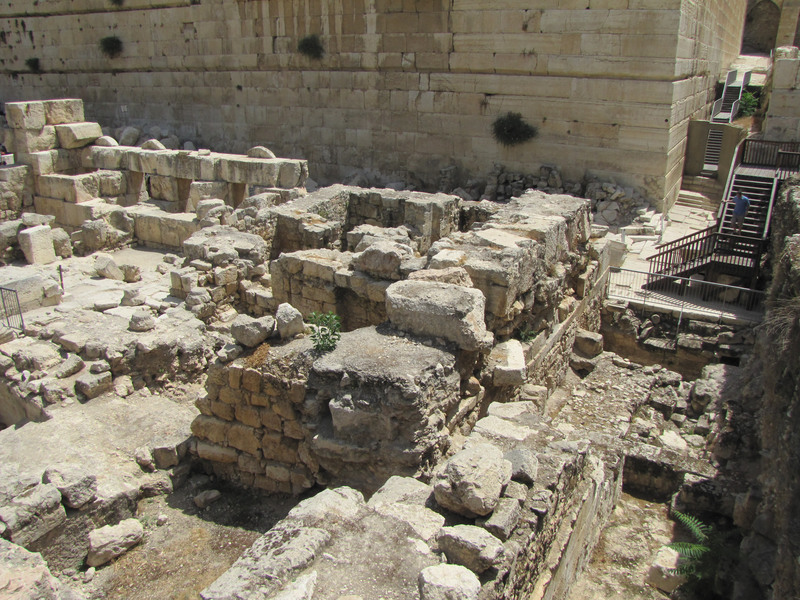 This is a view of the SW corner of the Temple Mount at the shops that sat under Robinson's Arch and provided the piers and support for the stairway that led up to the entrance to the Temple Mount on Robinson's Arch.